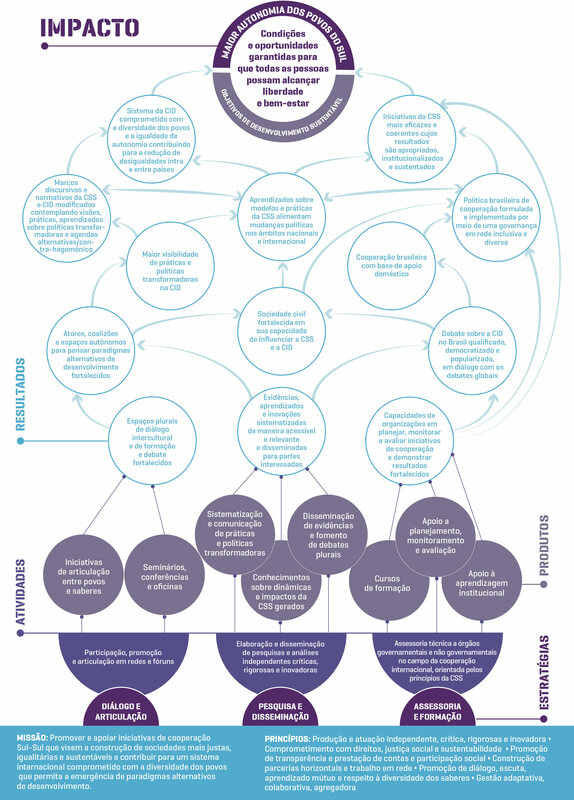 Articulação SUL is structured around three main areas of work, which intend to improve linkages between research, policy and practice. Participation and engagement in global governance networks and forums dedicated to development cooperation (e.g. Global Partnership for Development). 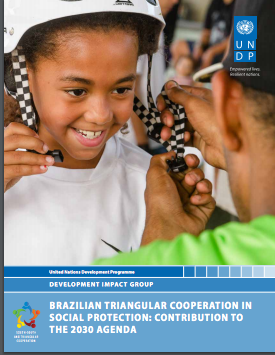 Support for Brazilian and other Southern organisations interested in initiating and/or strengthening cooperation projects and dialogue. This study systematize key lessons from UNICEF Brazil’s experiences and seeks to support knowledge sharing and improve UNICEF’s understanding of the strategic value of SSC. Articulação SUL was hired to: (1) review key UNICEF documents related to their TSSC work; (2) revise and complement sections drafted by UNICEF Brazil; (3) analyse the transcripts of the interviews carried out by UNICEF Brazil; (4) systematize the main progress results and lessons learned, based on the above; and (5) add an external perspective to the study. UNICEF Brazil’s SSC Unit provided guidance and feedback throughout the process. Reference: Suyama, B., Barron, Michelle. 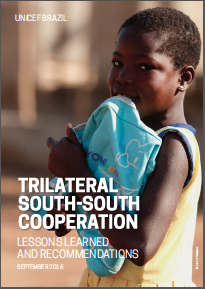 Trilateral South-South Cooperation: Lessons Learned and Recommendations. UNICEF, September, 2016. 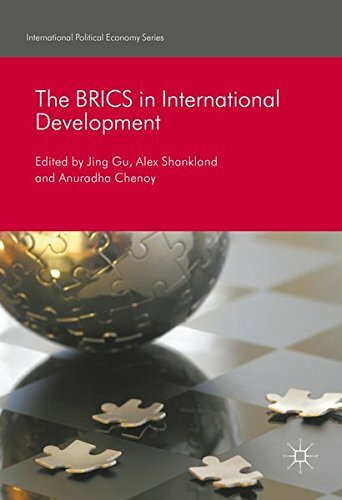 The chapter explores Brazilian, Indian and South African civil society engagement in South–South development cooperation (SSDC) and in debates of these countries’ roles in BRICS. 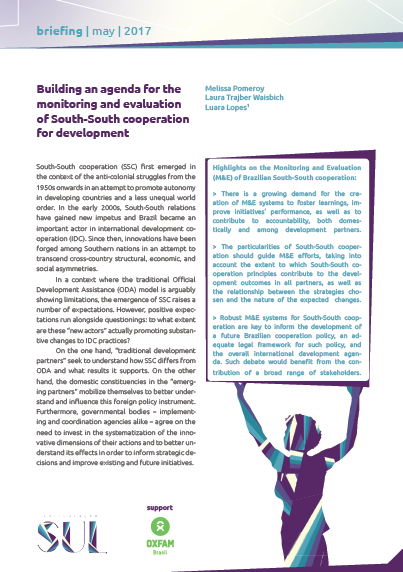 Despite the apparently more promising engagement environment in the ‘democratic emerging powers’, civil society efforts to achieve effective influence over the SSDC agendas of both BRICS and of their own countries face many obstacles. The chapter discusses commonalities and differences across these three countries and their fellow BRICS, Russia and China, and analyses key characteristics and tendencies of transnational civil society engagement. Final remarks include prospects for civil society engagement with BRICS international development cooperation, with a particular focus on the New Development Bank. Published in: Jing Gu, Alex Shankland, Anuradha Chenoy (org.) The BRICS in international development. International Polical Economy Series. Palgrave Macmillan, 2016. The chapter explores, through Foreign Policy Analysis, the shifts and continuities of Brazil’s trajectory as a partner in South–South development cooperation (SSDC) by comparing President Dilma Rousseff’s first administration (2011–14) to Luiz Inácio Lula da Silva’s two presidential terms (2003–10). The paper argues that despite the slowdown of presidential diplomacy, new priorities, budgetary cuts and a much more challenging political and economic national context during Rousseff’s mandate, coalitions have continued to mobilize, ensuring continuity in certain sectors of technical cooperation, as well as expansion into new areas. The intersections between technical cooperation, financial cooperation and trade also increased during the period, while the national development cooperation framework remained marked by institutional and legal fragilities. The first edition of Perspectives from the Territory addresses the multifaceted Brazilian engagement in Haiti, from its leadership of the United Nations Peace Operation (MINUSTAH) and its international cooperation for development to the presence of Brazilian civil society organizations and the private sector and the challenges and responses related to Haitian migration to Brazil. This project was conducted jointly with the Institute of Development Studies (IDS) in England and PRIA in India. 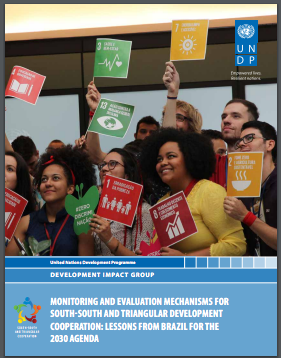 Researchers and activists cooperated with the project to systematize how civil society contributes to the role of middle-income countries as innovators and providers of cooperation for development. Articulação SUL produced a case study on the proposed Community Seed Banks Creole in areas of family farming in Mozambique and South Africa. It also participated in the GPDEC meeting in Mexico, led the production of a mini-documentary and contributed for synthesis design products. 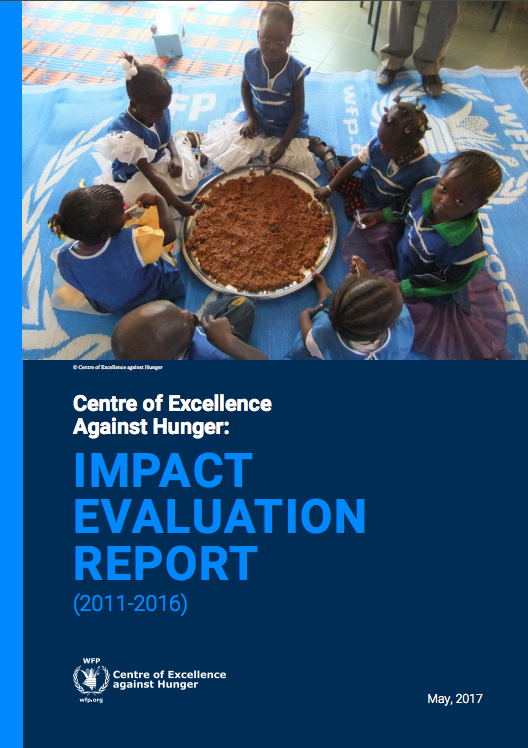 This paper was produced for the World Institute for Development Economics Research at the United Nations University (UNU-WIDER) and aimed to understand the drivers behind the changes in the Ministry of Social Development and Fight against Hunger’s (MDS) cooperation with African countries, and also to systematize lessons learned by MDS. In doing so, we sought to contribute to the international debate over the effectiveness of South-South cooperation for development, unpacking the challenges and opportunities encountered by developing countries to allocate human and financial resources in promoting international development. 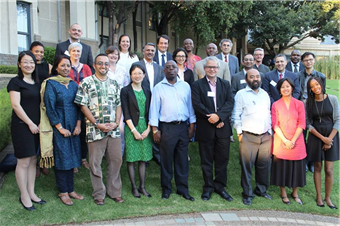 The programme, led by the Institute of Development Studies (IDS), is consolidating an evidence base on the role of “emerging countries” in international development, producing new insights and practical guidance for actors engaged in international cooperation. 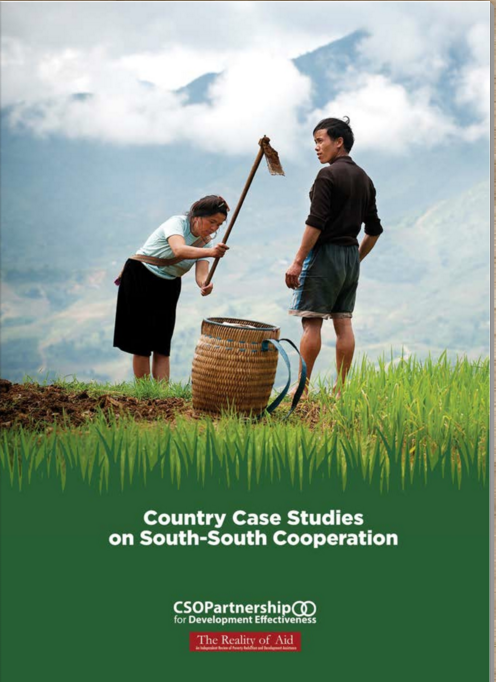 Articulação SUL, in partnership with CEBRAP, held the “Brazilian international cooperation: The state of the debate” study, which analysed the main ideas, narratives and interests influencing the South-South cooperation for development. 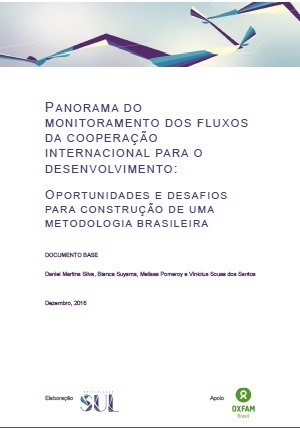 In addition to the final report, policy briefs were produced both in Portuguese and English. 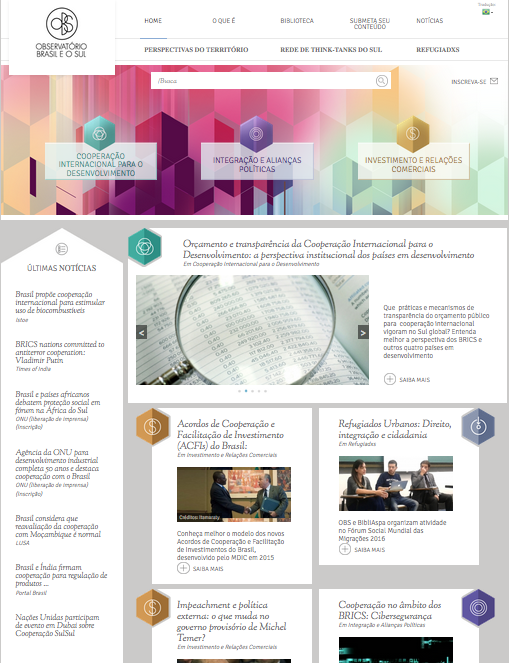 In 2014, Articulação SUL co-organized parallel events to the BRICS Academic Forum. In October 3, 2014, Brazil and the South Observatory promoted the "Brazil-Africa: political, economic and regulatory tendencies" debate in order to present OBS, its objectives and research/monitoring agenda; contribute to the formation of new analytical starting points and qualifying interpretations on Brazil-Africa Relations; and strengthen contacts among participants to develop information and analysis sharing networks about the Brazilian role in the global South. In this Institute of Development Studies Rising Powers in International Development programme initiative, Articulação SUL, along with PRIA and China International Development Research Network, produced a Case study of civil society-led South-South Cooperation, engaged CSO's and prepared inputs for a Focus Session at the High-Level Meeting of the Global Partnership for Effective Development Cooperation in Mexico, in April 2014. The courses "Looking South in search for new social transformation paradigms" and " Transnationalism and Social Movements" were given as part of a semestral event that took place in October 29 to 31, 2014. 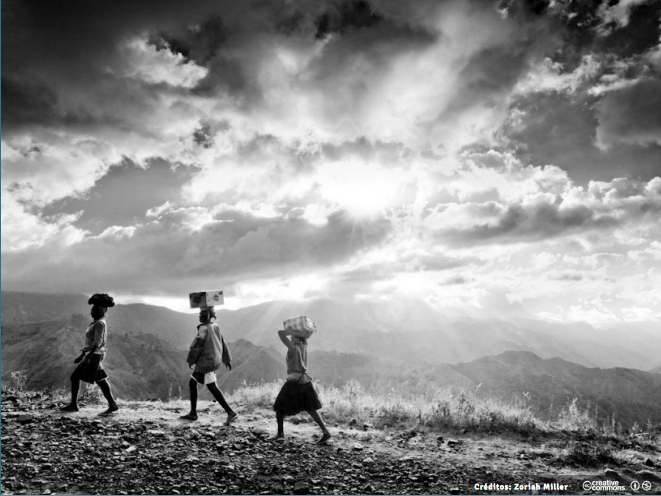 Article – Brazilian development cooperation: critical juncture or hiatus? This article was published in IDS' Globalisation and Development blog. It discusses the state of Brazilian development cooperation as the country prepared to host the 2014 FIFA World CUP. 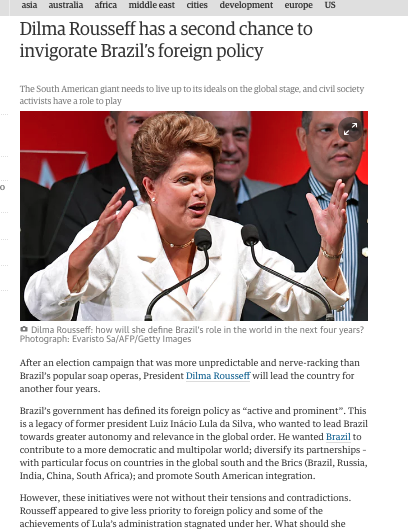 This article, published in The Guardian, analyses some of the foreign policy challenges facing presidente Dilma Rousseff in her second term. 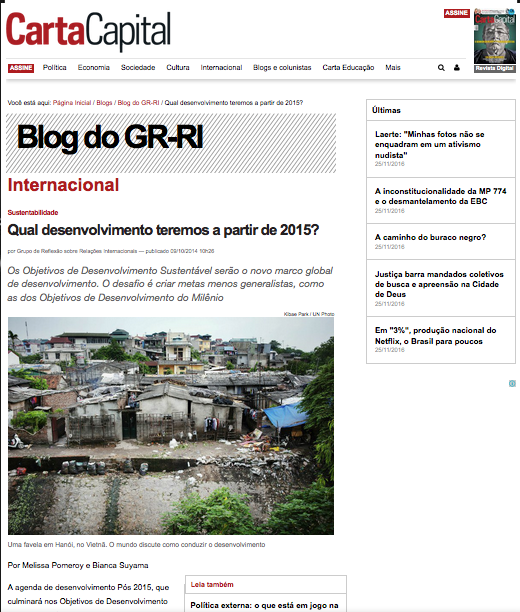 Article – Qual desenvolvimento teremos a partir de 2015? 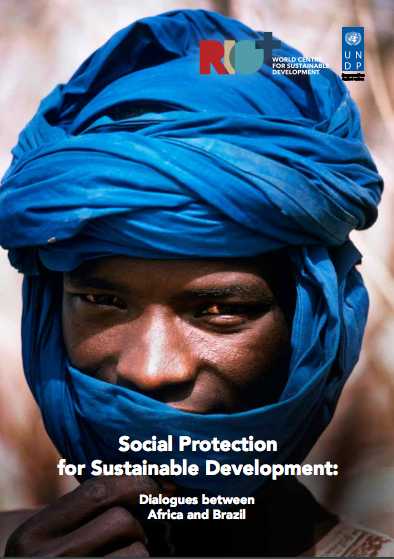 Published in Carta Capital magazine, this article identifies the challenges related to the Sustainable Development Goals and the disputes regarding its formulation. Authors: Bianca Suyama and Melissa Pomeroy. A Brazil and the South Observatory's publication that aims to spread information and knowledge about Brazil's role in the global South. This first edition brings two articles on integration mechanisms of great interest for Brazilian foreign policy: BRICS and CPLP. 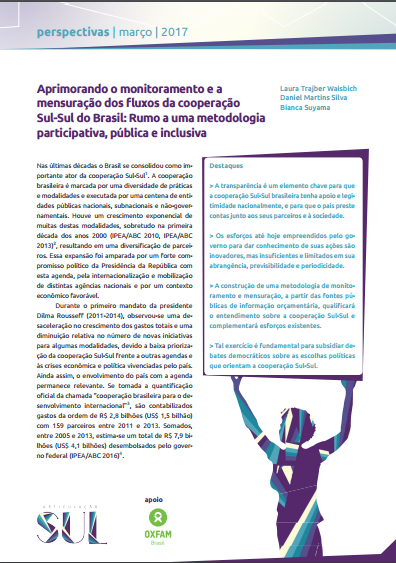 The overall objective of the Observatory is to promote transparency and critical, wide-ranging debate about Brazil’s performance in the global South, highlighting practices that contribute to more just and equitable societies, and questioning actions that endanger human, political and social rights through the provision and production of analytical content and relevant information and systematized. This is an Articulação SUL initiative, supported by Oxfam Brazil. 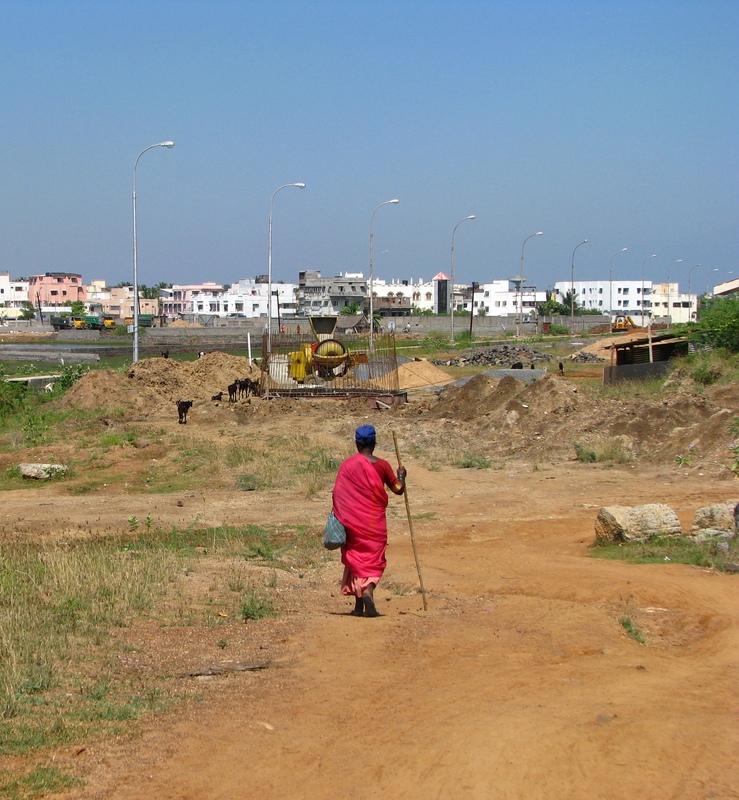 The Diverse Voices is a project led by the Institute of Development Studies (IDS) which aims to give visibility to creative ideas that depart from the experience of those who live daily with the problems of development in their towns and communities. It is expected from this initiative, stimulate national, regional and international dialogue of people directly involved in actions to develop a better city, so they can contribute to the formulation of policies most suited to their own realities. Articulação SUL was the country convener to this initiative in Brazil. Articulação SUL acted as moderator and facilitator, with support from the Dean of Institutional Relations at the University of International Integration African-Brazilian Lusophony (ProInst / UniLab) training workshop on international cooperation. The workshop aimed to strengthen the newly formed ProInst’s identity and stimulate the reflection on the concept and practice of solidary cooperation in Unilab. The Institute of International Relations, University of Brasilia (IREL-UNB) promoted the extension course “Theory and Practice of International Development Cooperation”. The target audience for the programme included professionals from public administration, international organizations, cooperation agencies and students of international relations or related areas involved in international cooperation. 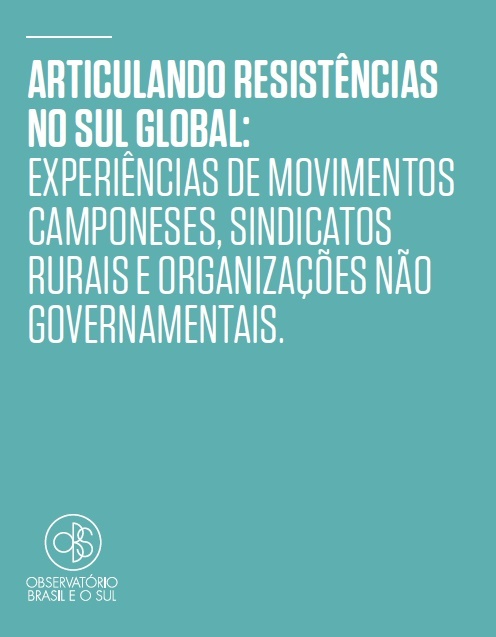 Articulação SULtaught a lesson about civil society. The main aim of this event, co-organized with ABONG, was to promote debate on the system of international cooperation and explore ways to strengthen the participation of civil society in national and international debates. As a result, a civil society statement to the Brazilian Forum on Aid Effectiveness in Busan was elaborated. The objectives of the seminar – organized by International Policy Centre for Inclusive Growth (IPC-IG), Future Agriculture Consortium and UK Department for International Development – were to facilitate knowledge sharing and to promote critical reflections on the role of South-South cooperation in the development agriculture in Africa. Articulação SUL supported the preparation of content for the workshop, its agenda and also produced the event’s report. 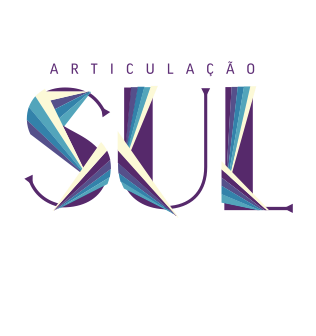 Development Initiatives hired Articulação SUL to give advice on how different actors could use the information from the IEP report on their work. In addition to that, the organization seeks feedback on how to continue this line of research in order to contribute to the work of people and organizations involved in the analysis of, and engagement with, Brazilian cooperation. The advisory to the Lula Institute consisted of weekly presentations of content production to prepare and build up the knowledge necessary to subsidize its participation in the “Towards the African Renaissance: Renewal of Partnership for a unified approach to end Hunger in Africa by 2025, based on the framework of CAADP” High Level Meeting. In addition to providing advice, Articulação SUL also attended the event and processed and analysed the main outcomes of the workshop providing technical and strategic inputs to the Institute’s activities. The overall goal of this ICONE-led project was guiding the Bill and Melinda Gates Foundation (and possibly other organizations) in their investments in Brazilian agricultural technologies with potential for use in Africa. Towards this end, the project aimed to map and categorize Brazilian agricultural technologies (agronomic and organizational / social) with potential for use in Africa. 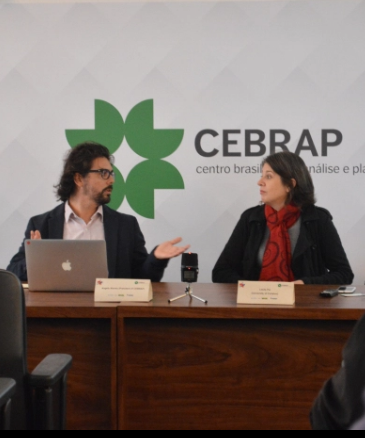 Articulação SUL advised the project on the theme of international cooperation and gave support (calendar, facilitation and reporting) for the study’s presentation workshop to Embrapa. 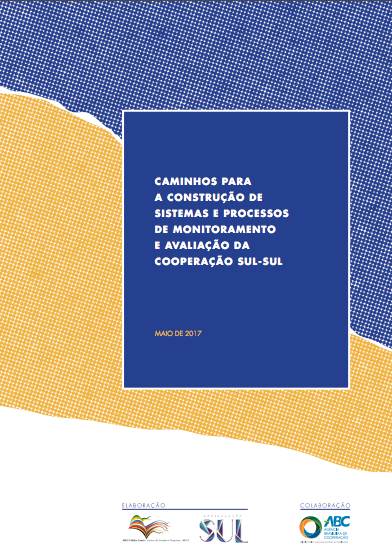 The study, produced for United Cities and Local Governments aimed to subsidize, with qualified information, the understanding of planning instruments of Brazilian intermediate cities (Master Plans, Participatory Budgeting and Single Sign Inclusive), within the framework of the project “Capacity building and consolidation of Local Authorities and AL networks in Brazil and Mozambique as actors in a decentralized international cooperation”. The project seeks to strengthen the development management capabilities of Mozambicans and Brazilian municipalities.